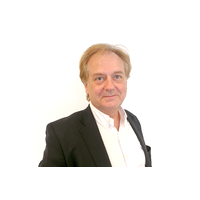 Plan B Energy Storage (PBES) has announced Sven Thy Christensen has joined the firm to develop marine and power markets in the Mediterranean region. Christensen brings decades of experience of green solutions for ship efficiency, emissions reduction, and power generation including diesel and gas generation, wind, and solar energy. Christensen comes from Odense Maritime Technology, where he held the position as Sales & Business Development Director. Prior to this he worked for MAN Diesel & Turbo in Spain. 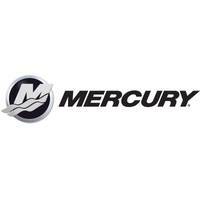 Mercury Marine recently opened a new distribution center in Palhoca, Brazil. Mayor Camilo Martins and executives from Mercury Marine were on hand for the official opening last week. Mercury Marine now has three warehouses operating in Brazil; one in Palhoca, one in Manaus and a third in Rio de Janeiro. Mayor Martins said he is developing a study to centralize the whole distribution sector in Palhoca. “Opening a distribution center in Palhoca is another step in our global expansion plans,” said Bill Gress, Mercury Marine president of Latin America. 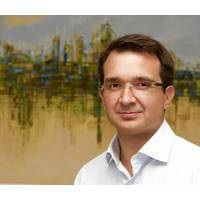 Marcelo Puscar has been appointed as director of marketing at Volvo Penta of the Americas. Previously director of marine sales for Latin America, Puscar will relocate from Volvo Penta Brazil to the company’s headquarters in Chesapeake, Va., where he will be responsible for managing and implementing a strategic marketing plan that builds, promotes and communicates Volvo Penta’s brand, products and services in the marine and industrial market sectors. He will report directly to Ron Huibers, president of Volvo Penta of the Americas. Today at the SMM 2014 exhibition, GE announced it will showcase a variety of cutting-edge projects and solutions to meet demands of the global commercial and naval marine industry. According to Afra Gerstenfeld, General Manager of Transportation’s Marine group, “The products and services GE provides can help customers operate ships more efficiently, reduce emissions and meet stringent global environmental regulations. • Dongwon Industries-- one of the world's largest tuna fishery companies -- will use two 16V250 GE Marine diesel engines to power two 80-meter-long tuna purse seiners. Mercury Marine has launched its new global website, www.mercurymarine.com, designed to enhance the consumer experience and provide a single online point of reference for all Mercury partners and consumers around the world. “Delivering content in the native language of the site visitor is an important goal of this site redesign,” said Jon Mathews, Mercury Marine director of global branding. 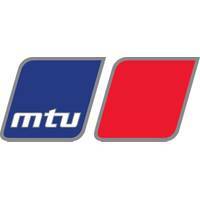 Stage one of the rollout, completed Tuesday, was launched for the North American audience and provides content in English, Spanish and French. 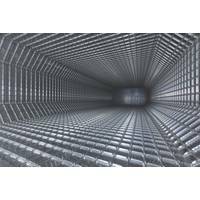 Deepwater Offshore Presents New Opportunities for Accommodation Vessels. The U.S. Gulf of Mexico, offshore Brazil and West Africa have recently been tagged as the “Golden Triangle” of deepwater oil exploration. An interesting label, considering a triangular definition of success, prosperity and influence was last associated with Southeast Asia’s opium and heroin trade. But, oil can (perhaps) be described as industry’s opiate and with that said, this addiction proves interesting with new geopolitical and economic patterns deepwater exploration and production is developing. Caterpillar Marine Power Systems is relaunching one of the most successful marine engine platforms in its history. 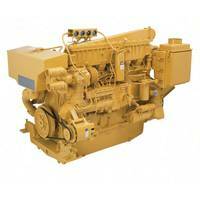 The Cat 3406C marine propulsion engine will enter production in late 2013, providing customers in lesser regulated countries, including Latin America and Asia, with an economical, dependable solution for their commercial marine vessels. The mechanically governed 3406C propulsion engine will be available in ratings of 272 bkW @ 1800 rpm and 298 bkW @ 1800 rpm. 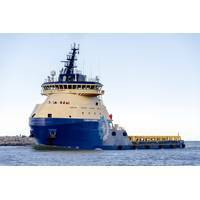 The engine is ideal for small offshore, inland waterways and commercial fishing applications. Caterpillar Marine Power Systems is relaunching one of the most successful marine engine platforms in its history at the current 2013 International Workboat Show. The Cat® 3406C marine propulsion engine will enter production in late 2013, providing customers in lesser regulated countries, including Latin America and Asia, with an economical, dependable solution for their commercial marine vessels. The mechanically governed 3406C propulsion engine will be available in ratings of 272 bkW @ 1800 rpm and 298 bkW @ 1800 rpm. 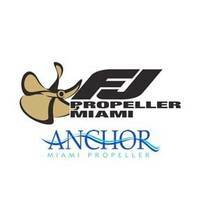 FJ Propeller Miami is a subsidiary of Frank & Jimmie’s Propeller in Fort Lauderdale established in 1947, and Anchor Miami was established in the same year becoming known throughout Latin America as a leading source of running gear. This acquisition strengthens the FJ Propeller brand’s capabilities by now providing its customers in South Florida with an experienced, qualified staff of 37 which includes; 15 propeller technicians, 7 machinists, 7 customer service reps, 1 Naval Architect, 1 engineer, plus 6 support staff and management personnel. It’s a powerful proposal. Keeping a 90-meter, 4,500-deadweight capacity platform supply vessel (PSV) stationary only a few meters from an oil and gas platform, as it transfers fluids, equipment and personnel in challenging weather conditions, is as much about power as it is about precision. With GE Power Conversion's dynamic positioning and vessel automation technologies, the Brazilian Shipyard Detroit Brasil Ltda. 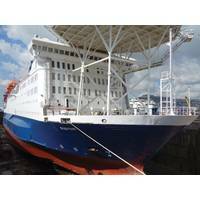 is constructing the next generation of PSVs for Brazilian operator Starnav Serviços Marítimos Ltda. MAN Diesel & Turbo has signed a LoI with Vancouver-based Waterfront Shipping for the use of four MAN ME-LGI engines on its ships. The engines will run on a blend of 95% methanol and 5% diesel fuel. Waterfront Shipping, a wholly owned subsidiary of Methanex Corporation, is a global marine transportation company specializing in the transport of bulk chemicals and clean petroleum products. 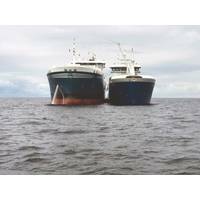 With the growing demand for cleaner marine fuel to meet environmental regulations coming into effect in Northern Europe and other regions, methanol is a promising alternative fuel for ships. Volvo Penta announce key appointments to its newly-formed Volvo Penta Region Americas organizational structure. The company's organizational realignment brings together all of North, Central and South America, and the Caribbean under a unified management structure. Customers, OEMs and dealers will see more direct and coordinated support within the Americas. The addition of the Latin America organization comes into effect Jan. 1, 2013. Julia Zelenock has been named director of marketing. 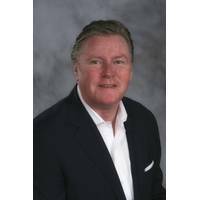 Crowley Maritime Corporation announce changes to its senior leadership team in the company’s shipping and logistics business. The company consolidates its commercial marketing, sales, customer care and pricing activities under the leadership of Frank Larking, who has been promoted to senior vice president and general manager of logistics, and will now, in addition to managing the entire logistics enterprise, oversee U.S. sales, marketing, customer care and pricing for both logistics and liner services. “The consolidation of U.S.
Crowley Maritime Corporation christen 'Ocean Wave' & 'Ocean Wind' built at Bollinger Shipyards, based in Amelia, La. USA. 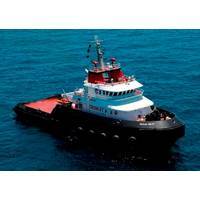 The new tugboats were designed by Crowley subsidiary Jensen Maritime located in New Orleans. At 146 and 156 feet in length, and with a minimum bollard pull of 150 metric tons, Crowley’s new ocean class tugs will be outfitted for long-range, high-capacity ocean towing, rig moves, platform and floating production, storage and offloading (FPSO) unit tows, emergency response and firefighting.